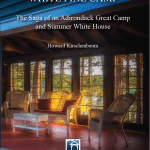 This afternoon outing provides an extremely rare opportunity to see one of the most historically private and now one of the most exclusive camps in the Adirondacks – Lake Kora, historically known as Kamp Kill Kare. 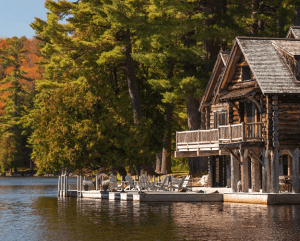 Situated along the northernmost shoreline of Lake Kora and at the terminus of a long and winding road which originates near the hamlet of Raquette Lake, the property includes a variety of residential and recreational structures in an exceptionally remote region. 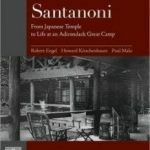 The camp was initially built for Timothy Woodruff, Lieutenant Governor to Theodore Roosevelt, on a parcel he purchased from William West Durant in 1897. 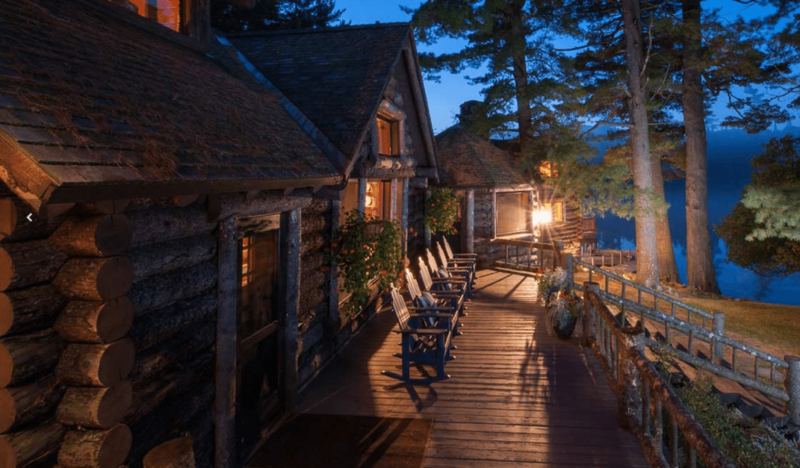 Throughout the first several years of the 20th century, Woodruff remodeled and added onto the small camp that existed when he first acquired the property, eventually creating a sprawling complex of impressive buildings in a stunning natural setting of woods and lakes. The structures are the product of several hands. Woodruff and his wife Cora (after whom the lake is named) are known for contributing their own artistic talents to the buildings, even receiving praise from an English writer in 1903 as creating “the work of a genius.” Englishman Charles C. Hiscoe is also credited with designing many elements of the complex and, with the Woodruffs, created log and stone interiors that were skillfully adorned with colorful curtains and rugs, animal skins, and furniture of the rustic and Arts and Crafts styles. After two fires, in 1908 and 1915, Hiscoe continued to have a role with the camp’s development but its new owners, Mr. and Mrs. Francis P. Garvan, also hired architect John Russell Pope to reconstruct portions of the property which had been lost to fire, and to design new structures there as well. Pope was a prominent New York architect best known for his neoclassical designs of the Jefferson Memorial, National Archives, and National Gallery of Art in Washington, D.C. This year marks the 100th anniversary of Pope’s main lodge at Lake Kora, and he was also responsible for the camp’s stone barn complex, Norman chapel, boathouse and residence, two cottages, the playhouse, and a number of other additions and alterations. 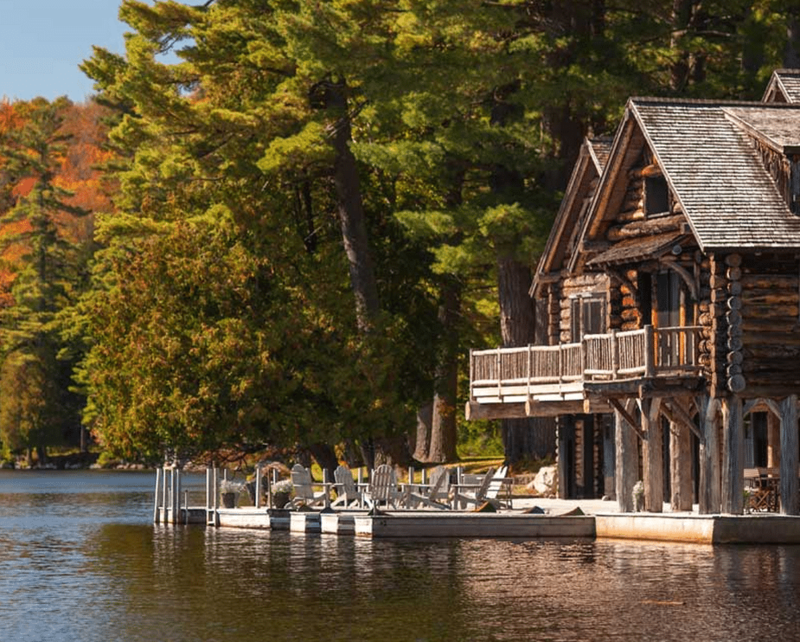 The property is one of the few Great Camps which has remained in private ownership and is actually available for a limited number of rentals during the summer season (www.lakekora.com). Our time at Lake Kora will begin with a tour of the property and structures by general manager Dan Abrashoff, followed by substantial hors d’oeuvres and desserts with drinks. The outing begins at 3 p.m. and ends around 6:30 p.m.
Includes drinks and hors d’oeuvres.